In a street where many people are seen looking for a place to drink during the night, Renkon-ya opens its doors at 5pm to welcome those who are in desire for some good home-style dishes along with some drinks. Many customers enjoy the fun concept of this izakaya, or Japanese style bar, with retro ambiance that will give nostalgic feeling to many Japanese people. It’s a compact izakaya with a warm at-home feeling. The close-knit atmosphere brings customers feel close to the cook behind the open kitchen. It’s exciting to watch the cooking process being done skillfully and rapidly. Yaki Nasu at Renkon-ya are simply grilled, then served with the skin peeled. It comes with a mixture of ginger and soy sauce that you can dip the eggplants in or just pour over it. The ginger gives it a refreshing kick over slightly smoky flavor of the eggplants. Simply cooked food are one key point of Kyoto-style cuisines. Niku-jaga is a typical home-cooked dish that most Japanese people are familiar with. It’s definitely a Japanese “comfort food” with flavors of soy sauce and dashi with slight sweet taste. 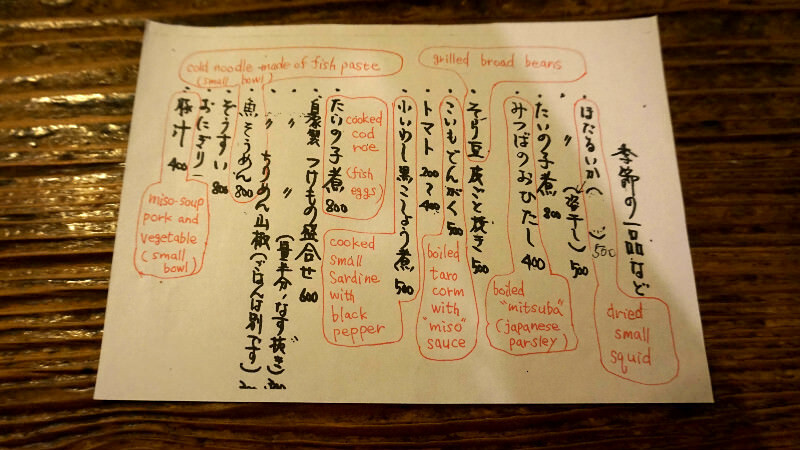 Try ordering it by saying the Japanese name, “niku-jaga,” it literately means “meat potato”. Lotus root is a common root vegetable eaten in Japan. Originally a regional food of Kumamoto Prefecture, located in south of Japan, Karashi Renkon is made by filling the lotus root with mustard. It’s Renkon-ya’s specialty menu item that is made in-house. Many people love the spiciness of mustard with excellent crunch of the vegetable which goes very well with some drinks like Japanese sake. Cold sake will be perfect for summer time! Ask to get it in a “tokkuri” bottle like shown in the picture and share it with friends. You can, of course, get room temperature sake instead, if you prefer. Besides sake, there are also beer, shochu, ume-shu (plum wine), whiskey, and wine. Try some items from the paper menu as well which consists of seasonal items. 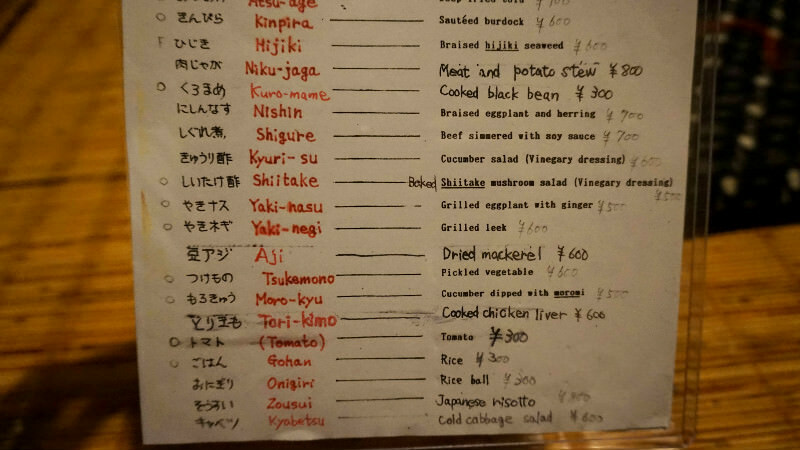 On the English menu, the menu items are also written in Japanese romaji letters. Please try to order in Japanese as it will be a big help to the staff for them to give a smooth service. The ambiance of this place is authentic! The food served at Renkon-ya is of home-style cooking, it's mostly comfort food. It's extra nice to see the kitchen and watch the food being prepared. Inside is quite compact, but being here feels like traveling back in time to 1960's or 1970`s Japan. 6-minute walk from Keihan Line Sanjo Stn.